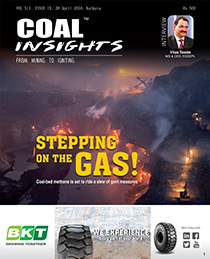 Coal Insights is a ready reckoner for anyone associated with coal. This publication is aimed at tracking everything related to coal in India. Its scope ranges from production, dispatch, stocks at power plants to future projections of coal demand, coal production and likely shortfall.